Roger Stone was arraigned in D.C. federal court today. As expected, Stone entered a plea of not guilty. An arraignment hearing is for the purpose of advising the defendant of the present charges against him, allow him to enter a plea of guilty or not guilty plus state additional terms of the defendant’s pre-trial release. Stone had to give up his passport and cannot contact any witnesses. If he violates the terms, he goes to jail pending his trial date. As for Stone, he is slowly learning what it means to be a defendant. 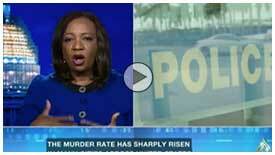 Stone voiced concerns about being arrested in the early morning hours with over 20 FBI agents. His specific concern was that he was arrested with more force than Osama Bin Laden. By the way, Osama Bin Laden was shot to death during the raid on his house. The courtesy of affording a white -collar defendant the ability to turn himself in with his attorney at his convenience is exactly that… a courtesy. It is not mandatory, as Stone discovered. Now the real reason why the arrest was likely done in the manner it was conducted had to do with the parallel search warrant of Stone’s residences. An announcement in advance would have potentially allowed Stone to destroy or attempt to destroy documents. A search warrant is obtained with a judge signing off on it. In the affidavit that is presented to a judge to obtain a search warrant is the belief of what the search is more than likely to yield. The Mueller prosecutors had good reason to believe based on either cooperating testimony or either evidence that another crime or crimes may have been committed. It is likely that more charges are being considered. Stone may be asserting his white privilege in public. However, as a charged defendant, he is no different than other defendants who go before the court. He will be processed in the same way as all others. 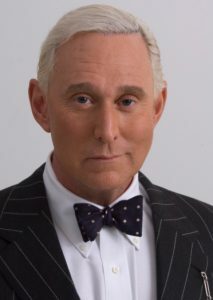 As the events unfold and Stone’s attorneys learn of the evidence against their client, Roger Stone may be less inclined to boldly assert the lack of evidence against him. As the indictment reads, the prosecution has what appears to be a tight case against Stone. The reality of possible jail time may soon become a wake-up call for Stone. It’s usually a matter of if you feel lucky and want to roll the dice. Of if you want to face reality that wearing an orange jumpsuit daily is staring you in the face. Reality comes in many forms. Stone emphatically states his wants his day in court. In a jury trial in the District of Columbia, Stone will be facing jurors who reside in D.C. Most D.C. voters voted overwhelmingly Democrat by almost 91% in the November 2016 presidential election. Only 4% of all D.C. residents voted for Donald Trump. While the District of Columbia’s Black population is just slightly under 50%, those jurors are not likely to be sympathetic to Stone. The fact that many potential jurors in D.C. work for the federal government which was closed for 35 days due to Trump’s shutdown bears indirectly on how jurors might feel about Stone. Stone has made it clear of his close association to Donald Trump. While jurors are advised to base their verdict solely on the evidence presented in a case, no one juror is likely to be able to completely forego their thoughts about Trump. Another hearing is scheduled for Friday, February 1 to plan future court events and hearings. Stone left the D.C. federal court without as much of a whimper, unlike his blustering and bold statements following his arrest in Florida. Maybe Stone is giving thought to those potential D.C. jurors who might hear his case and judge his guilt or innocence. Trusted Donald Trump aide Roger Stone got his long awaited comeuppance for his behavior in the special prosecutor’s Trump Russia investigation. Stone was arrested at his office in the wee morning hours of Friday, January 25. While Roger Stone may have been expecting an indictment, nothing prepared him for the manner in which he was arrested. Mueller’s team sent a strong and serious message to Trump confidante, Roger Stone, by arresting him at 4 a.m. much like everyday street criminals, mob bosses and narcotic dealers are arrested. Of course, following his arrest, Stone complained about the nature of the arrest with over 29 FBI furloughed agents coming to his house to take him into custody. Stone for his part declared his innocence. The lack of common prosecutorial courtesies usually afforded to white collar clients/defendants to conveniently turn themselves in with their lawyer upon indictment shows the seriousness of the case and the possible indication of a flight risk by Stone. Prosecutors obtain indictments on what they can likely prove. The indictment shows Mueller’s team intends to prove that Stone acted like a mob boss in witness tampering, threatening to do harm to witnesses’ pets, lying and obstruction of justice. Stone may soon be singing another song and re-considering his loyalty to Trump. The prosecution does not need to set out its entire case in an indictment. And at any time, the Special Counsel’s office could file a further amendment or addition to the indictment. While we don’t know the strategy of the special prosecutor’s office, the case was laid out for possible collusion in the indictment. The decades long relationship that Trump has with Roger Stone makes it difficult for Trump to distance himself from Stone. The possibility of jail time for Stone makes it easier for Stone to re-consider his Trump loyalty and consider his loyalty to his life and family. While Stone does not presently intend to make statements against Trump, other white-collar defendants in the investigation, like Cohen, Flynn, Papadopoulis and Manafort took deals rather than go to prison. Persons who wear suits don’t normally want to trade them in for an orange jumpsuit and leg braces. While Trump may state that Stone’s indictment has nothing to do with Trump, is a witch hunt and is more about lying, the indictment allegations and details suggest otherwise. The indictment states a high ranking Trump campaign official was “directed” to ask Stone in October, 2016 to obtain further information about Clinton leaked emails. This indictment is likely just a tip of the iceberg in the chain to the Trump campaign and stolen leaked Emails during the campaign. I suspect that the Mueller investigation has far more incriminating information on Stone than what is listed in the indictment. And when Stone’s lawyers come to meet with the prosecutors, they may see a preview of what might be awaiting Roger Stone that is not contained in the indictment. Prosecutors may use this tactic as leverage for Stone to plead guilty and cooperate, if facing more charges. At some point, Stone may want to take a deal and cooperate rather than face the potential for years in jail. And of course, a president can pardon a convicted felon. It is unclear if a convicted person can be pardoned by a president who might also be an unindicted co-conspirator. What is clear is Roger Stone is the 6th Trump campaign aide to be indicted. The others, Rick Gates, Paul Manafort, George Papadopoulos, Michael Cohen and Michael Flynn all pled guilty. That’s 5-0 for Mueller and one is pending. That’s like Tom Brady having won 5 previous Super Bowls and now he is facing number 6. The odds do not bode well for Roger Stone. Ditto for the Rams. Anyone, who turned on cable news TV at any time on Monday, couldn’t help but see a defiant Sam Nunberg, a former Trump aide, ranting and raving about his refusal to appear before a grand jury to testify pursuant to a subpoena. 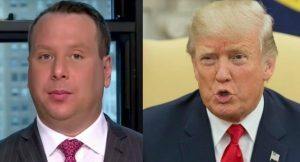 Nunberg, appearing possibly inebriated or at least smelling of alcohol according to CNN’s Erin Burnett, speculated about Trump, Roger Stone and other parties involved in the Russian-Trump investigation. Whenever did speculation become breaking news? I wonder who on the major cable news outlets thought Nunberg’s hours long coverage was appropriate. As I watched Nunberg, I wondered what the world must now think of the U.S. While we do have very good reason to be concerned about an Russian involvement or interference in our election, we do not have a good reason to air every possible aspect as breaking news. And Nunberg appears in the category of non-breaking news given the non-substance of his interview. I do think there are journalists that would not have interviewed Nunberg to the point of sickening to watch on air. MSNBC Joy Reid recently interviewed Stephanie Hamill, an adviser for the National Diversity Coalition for Trump, who spouted conspiracy theories when asked to answer a question. Akin to what should have happened with Nunberg’s speculation on Trump affairs, Reid cut off Hamill’s responses, saying she does not harbor conspiracy theories on her show. I think it would have been appropriate for one of the news outlets to have proceeded to commercial and return without Nunberg. Perhaps, Joy Reid was needed to interview Nunberg to cut short his breaking-non-breaking news segment. On Friday, we will learn if Sam Nunberg, former Trump aide, will appear before the grand jury pursuant to the subpoena issued to him to produce documents and testify in the Russian-Trump investigation. He later changed his tone indicating that he will comply. Whatever he decides to do, I hope the cable news networks do not waste another entire day to interviewing and discussing him as breaking news. Nunberg’s grand jury attendance or non-attendance is not breaking news worthy of the news time spent on it on Monday. If he doesn’t appear, as a former proseuctor, I know that Special Prosecutor Robert Mueller will file a motion to compel him to testify and bring the requested documents. If a contempt order is entered against Nunberg, he must comply with the subpoena or face jail time. There are so many stories that were news worthy on Monday and will be news worthy on Friday, in lieu of Nunberg; Gun control debate and laws, immigration and ending of DACA, upcoming special elections and ensuring our 2018 and 2020 elections are secured, Flint, Michigan water contamination are just a few. Former first lady Michelle Obama once said that when they go low, we go high. Monday’s coverage of Nunberg was a new low for cable TV news. I just hope the cable news outlets do not rinse and repeat similar coverage of Nunberg all day on Friday.